When I am in cities, I like to be right downtown. 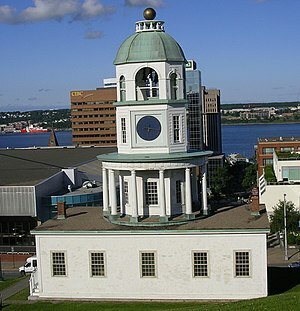 Downtown Halifax has beautiful historic buildings, the Halifax Harbour, Citadel Hill, museums, art galleries and lovely walking areas. The downtown area also boasts interesting independently owned stores and restaurants. 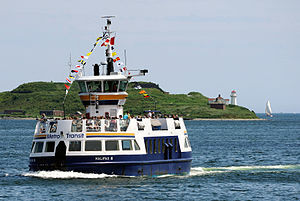 You can even take a ferry ride across to the Dartmouth side and back very cheaply, just for the fun of it. We love staying at the Radisson in downtown Halifax when we go to the city for a break or visit. Sometimes all we can get away for is a weekend and the Radisson works great for this. It is a suite hotel so has a bedroom and a living room area, which is great when you are travelling with two children or more. The staff are great. They have a pool, hot tub and sauna as well as an exercise room. The price for the Radisson is approximately $120.00 depending on the season. Go on-line sometimes you can find good deals on the Nova Scotia destination site. We have also enjoyed staying at the Waverley Inn. This historic inn is in the south end of Halifax on Barrington St. All the rooms are different and all of them have beautiful antiques. The price is reasonable. Bearly’s, Halifax’s number one blues bar is across the street. It is well worth a visit for live music. Ginger Grass, one of my favorite restaurants in the city serves great Thai and Veitnamese food, the owner is wonderful. I advise reservations as it does fill up on weekends.